Join the Austin HIMSS chapter & take advantage of all our educational and networking opportunities! 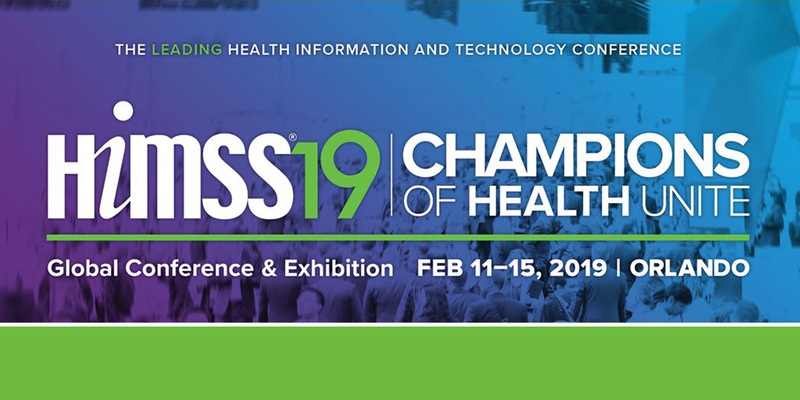 HIMSS19 - Save the Date! Mark your calendars for January 16 & 17, 2019 Health IT Day! Come and join fellow healthcare technology professionals as we advocate to create safer and more efficient healthcare systems through the use of technology. We'll kick off Texas Health IT Day activities on Wednesday evening at the iconic Stephen F. Austin Hotel with a networking social and training. Thursday will include morning visits with Texas legislators and their staff where we will ntroduce, educate, and discuss important topics. In the afternoon, we will hear from keynote speakers and will wrap up with panel presentations on key Texas issues. On behalf of the board, we hope this finds you safe, warm and dry! You will notice that advocacy is a prominent part of communications, activities, and volunteer opportunities for the Austin Chapter. This is the first year in several sessions that the Austin chapter will be organizing the bi-annual Texas Health IT Day activities at the state capitol. We are collaborating with all 5 Texas HIMSS Chapters to make this one of the most impactful advocacy experiences for you. Together we received one of five financial awards from HIMSS Global for our planned efforts around National Health IT Week (October 8-12) and our own Texas Health IT Day (January 17, 2019.) These funds along with a generous sponsorship will support a networking social and advocacy education event the evening before on Wednesday, January 16th at the Stephen F. Austin Hotel. Registration and a call for volunteer sign up links will be available soon! Many of you braved the first rainy cold front of the season for our last Lunch & Learn with Nora Belcher the Executive Director of the Texas e-Health Alliance. Nora shared valuable insights regarding legislation that impacts Texans. Thank you for your support and attendance, both in person and online! We appreciate your patience as we work to improve the web conference experience. Your Austin HIMSS board is excited about the next few months! We have been busy making sure we bring you value and opportunities, see the list below for upcoming activities and make plans to join us. Finally, for those of you that travel our great state during the week, be sure to check in with our sister chapters for any events that they might have. They are always welcoming! Please don’t forget your permit! We will be posting these on our site for each event. 2018-2019 is our year to stretch and grow. We have so many opportunities to fit almost any level of volunteer skill/commitment. If you want to get plugged in and be a part of our growth, email us at austin.info@himsschapter.org. This is the season to prepare for the 86th Texas Legislative Session! We need help with marketing, print materials, social planning, capitol activities, calls, scheduling, and more! January 16th evening: Networking Social open to ALL with advocacy training. March 8-14: SXSW Interactive We will have a joint event with the Great Britain Consulate during the interactive session! Social Media – stay connected and spread the word! We welcome the participation of members and visitors at our monthly educational sessions the second Tuesday of each month and quarterly free social events. The Austin HIMSS Chapter is a professional organization for healthcare and IT professionals providing leadership, professional development, education, and networking opportunities. The Austin HIMSS membership consists of IT professionals, consultants, vendors, physicians, nurses, professors, and students actively working in or interested in management systems, clinical systems, information systems, and telecommunications in healthcare. If you use any of their products or services, be sure to mention that you heard about them from the Austin HIMSS chapter. Interested in becoming an Austin chapter sponsor? Please contact Ray Wolf for more information. We welcome your support and participation!